This is a product for Pure Romance consultants ONLY. 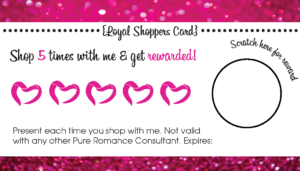 Discounted Hot Pink with Pure Romance Logo. DISCOUNT COUPONS ARE NOT ELIGIBLE TOWARDS THIS ORDER! Orders placed with a coupon code will be cancelled and refunded!